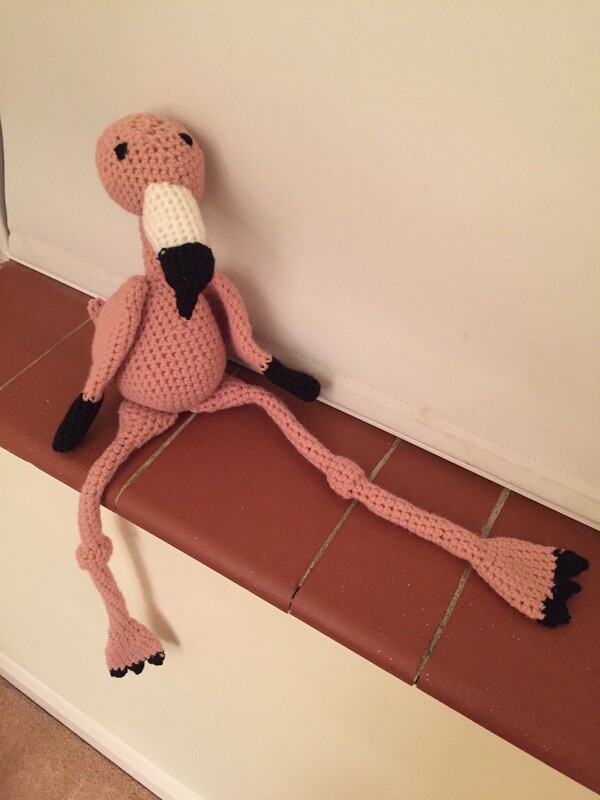 I would like to introduce a new addition to the stuffed crochet animal family: Susan the Flamingo. 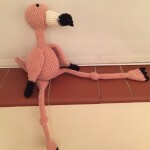 She is a very chilled out flamingo who enjoys the odd glass of wine with friends. Her favourite past time is flirting with the post man. 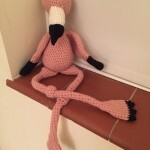 She is currently single but keeps having to shun the advances of the pelican next door. 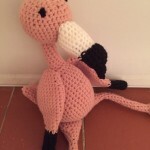 Pattern from Edward’s Menagerie by Kerry Lord.